It was a hot and humid July morning in Houston. You know, the kind when you walk out the front door and your once straight hair becomes frizzy from the palpable moisture in the air. The only way most people spend time outside during this kind of weather is in the pool. For some insane reason, I found myself with a new pair of tennis shoes on, wearing a watch with built-in GPS, and a belt with water bottles attached to it. I made my way to a park where I encountered a subculture I never knew existed. There were hundreds of runners and wannabe runners gathering together to do one of the first “long-runs” of the season. This was the first day of a 6 month training program for the Houston Marathon. WHAT WAS I DOING HERE?!? I am not a runner. Most of my life I detested running. But, for some crazy reason, here I was, training for a half-marathon (13.1 miles). Never mind the fact that I had NEVER run more than 3 miles at once. I was scared. Frightened. Delusional?!? Or, I was inspired, inspired to take on a challenge that seemed bigger than myself – so far out of my comfort zone that I knew, I’d have to prepare with dedication, perseverance, and grit. I would need a support group and guidance from others experienced with long-distance running. You know what, I stayed the course! I got up before work and ran a couple of times a week with a neighbor and consistently did long runs on the weekends with the running club with the determination that this non-athletic girl was going to do this thing come hell or high-water. Six months later, I finished the Houston Half-Marathon. It wasn’t easy, but it was worth it. 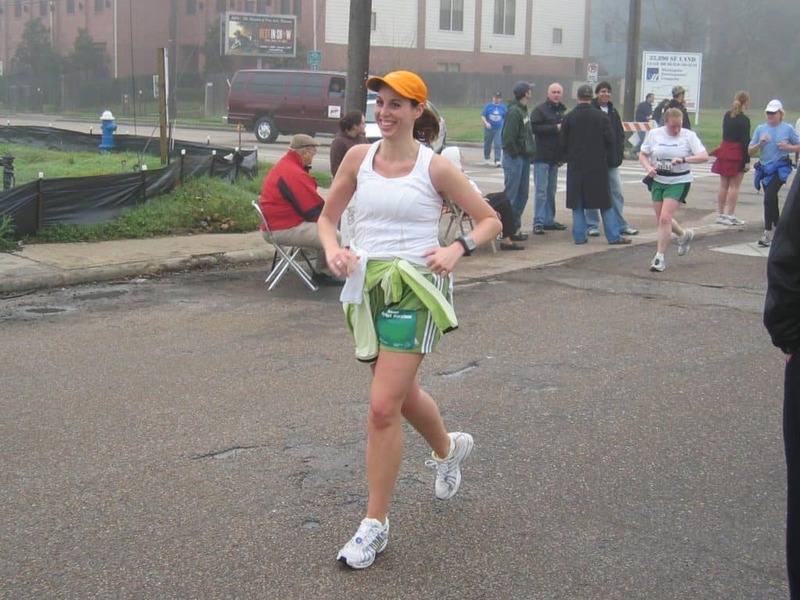 My blogging journey is similar to that marathon training. It has taken dedication, perseverance, and grit to become a blogger and my journey’s not over! I’m almost 18 months into blogging and want to share the truth, the blisters, the sweat and tears, the people that I train with (a.k.a. my running club), and what it takes to get to the finish line. If you’re considering starting a blog, I encourage you to read on. This will not be a rosy post with all of the sweet aspects of blogging. Rather, it’s the honest truth about blogging, my story, sharing my blogging vision along with my skinned knees. 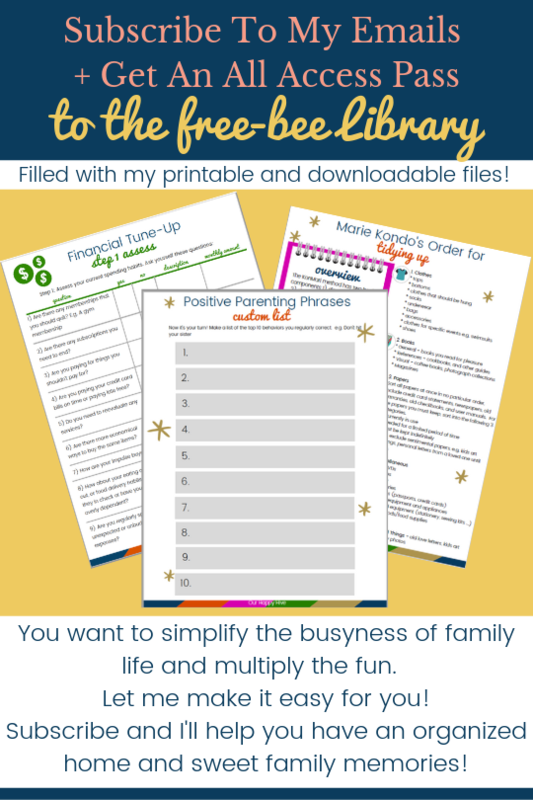 My initial motivation for blogging was to create another revenue stream for our family. The earning potential intrigued me and I loved how it could contribute to our family plans like providing for the kids’ education or our retirement. The fact that blogging is flexible and allows me to set my own hours that compliment our family commitments is also a bonus. I read financial reports of bloggers making six figures and could see that the sky was the limit. I’ve learned, that you can indeed make money in blogging, but for the most part, it takes time. Oh, there are exceptions, but that’s it – they are the exceptions. It can often take 2 years or more before a blog is established enough to make decent money. Motivation to work consistently at something for two or more years without a tangible pay off requires that you need to know your why. It should be compelling and big enough that you’re willing to make sacrifices. Your why will propel you through the ups and downs…the shin splints, and the extra mile you need to put in some weeks. The truth about blogging is that you have to have grit and determination. Knowing your “why” is a big part of helping you stick with it! I recall on one of my long runs early one Saturday morning. I was jogging along a busy street with my club of “slow runners”. It was early, so not many cars were out, but as I ran, I became fatigued. Before I knew it, my foot caught the edge of an uneven sidewalk and I went splat on the pavement. With a skinned knee and some bruised pride, I picked myself up and continued our route. 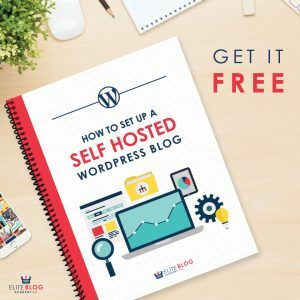 The truth about blogging is that there are bumps in the road and as diligent and prepared as you try to be, some of the time you get caught off guard or don’t anticipate an uneven terrain. Nine months into my blogging journey, I found I had made a HUGE mistake with my keywords and hashtags. Long story short, the mistake impacted every post and every image I had created up to that point. I was horrified! It was a huge setback! I had to update every image on my blog. Despite my best efforts, I somehow misunderstood this critical piece of the puzzle. Like my running example, I had to pick myself up, dust myself off, and continue on the route. Bumps in the road are just part of the journey, but they are not the end of the race! In blogging, the bumps in the road come in the form of misunderstanding (on your own part) or misguidance, often by well intended people. There is a lot of bad information out there. It’s either misinformed or has changed with a more recent algorithm or policy update. That’s why it’s critical to surround yourself with knowledgeable people. More on this in the coming sections! Another truth about blogging is that finding a group of fellow bloggers is critical, especially if this is new for you! Initially, I found community in unpaid Facebook groups. Later, I joined the Elite Blog Academy (more on this in a bit). I’ve also been involved in blogging Mastermind groups and have gone to conferences. The “running pack” is important because you can encourage each other in the race, learn techniques from each other, commiserate at times and pick each other up! 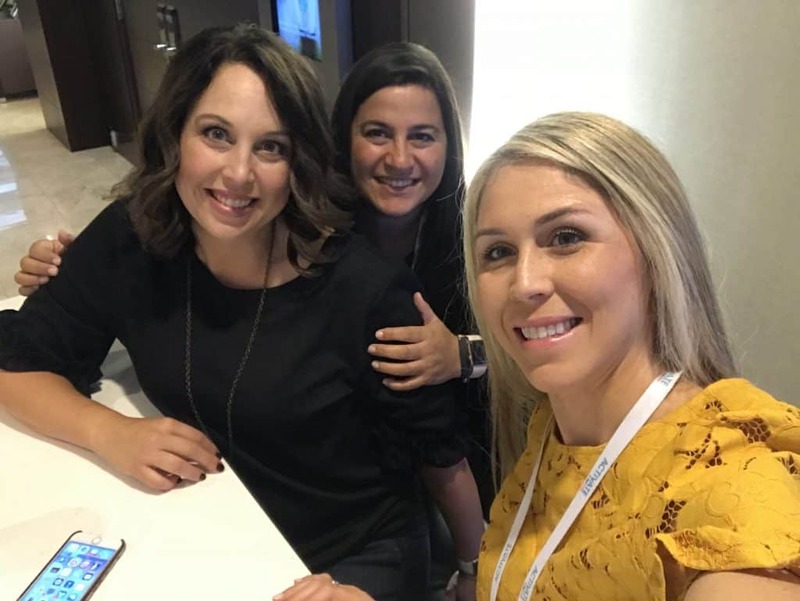 Friends I met at the EBA Activate Conference and now part of my blogging tribe! They say that running is a mental exercise. If you allow your mind to think, “I’ll do this as long as it feels good or as long as I think I can,” then you will more than likely quit. I was amazed at how every week I could run further and further and the previous week’s goal seemed easy when it came time to run further the next week. There are ups and downs with blogging including the post that gets no views, the product that “fails”, or the paid advertisement that falls flat. I recall last spring that my monthly page views tanked. I was unclear if it was my writing, my marketing, my topics or something else all together. It was super demotivating and discouraging. It was easy to question myself. Later I learned that there is seasonality in blogging and many bloggers experience a dip between March and August. During times like these, you put your blinders on and keep putting one foot in front of the other. Slow and steady wins the race! In athletics, people get a coach to develop and train them in a sport or activity. They surround themselves with others who are better in order to up their game. Many join a boot camp to improve their health, motivation, or commitment. The truth about blogging is that learning from those who have gone ahead, are already elite runners, and know how to coach others is a HUGE ADVANTAGE. They help you prepare for and at times avoid the bumps in the road! 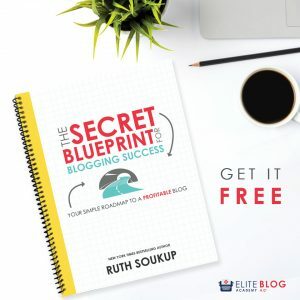 Six months into blogging, I joined the Elite Blog Academy (EBA) by Ruth Soukup. Ruth established her wildly successful blog, Living Well Spending Less, in 2010 and then EBA in 2014. She not only was successful enough to retire her Aerospace Engineer Husband, but she also helped other aspiring entrepreneurs to launch their blogs into full time careers. 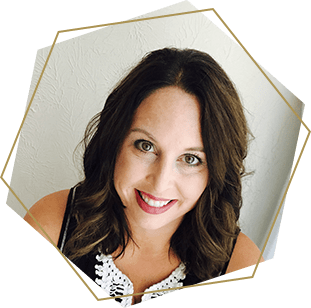 After reading many many success stories, it was clear, she knew the business and had proven results of helping others build their own business. 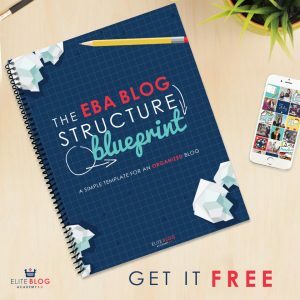 As a member of EBA, I became part of a private Facebook community with other new bloggers as well as many established full-time bloggers. The community was a safe place to ask questions and know that I would get quality advice. I also loved reading the tips from bigger bloggers and was impressed with their commitment to the group. 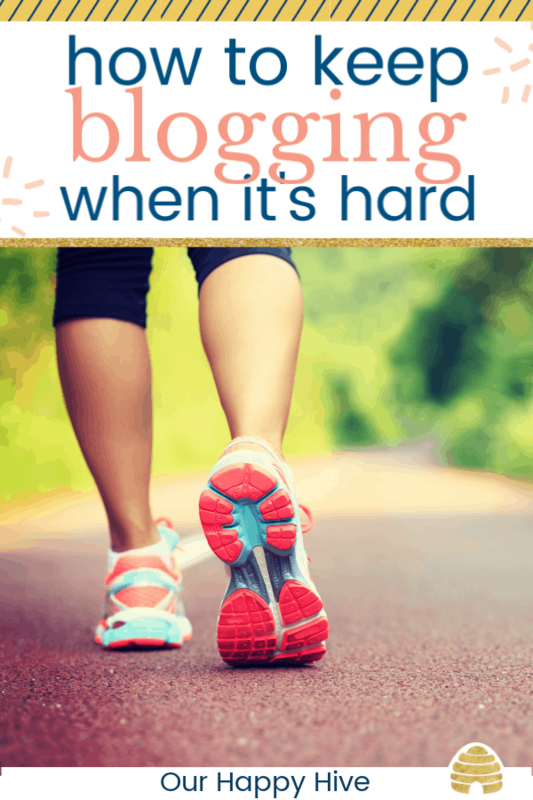 For most people, blogging is not a sprint, it’s a marathon! It takes lots of hard work and the reward doesn’t pay off for a while. Personally, I spend 15-20 hours a week creating and curating content, marketing posts and products, connecting with my subscribers, and sharpening my blogging skills. Consistently, I post 1-2 posts each week. I am making a little money, but have a long way to go in order to achieve my vision. If you’re ready to start your own blog, it’s important that you know the truth about blogging. Know your why. Don’t let the bumps take you out! Find your club and put your blinders on. Train with the elite and don’t give up. Your dream can become a reality if you keep putting one foot in front of the other. The important thing is, slow and steady wins the race!